You are ready to register, establish and manage an EU-based company 100% online from anywhere in the world. But first, let’s set up your digital ID. 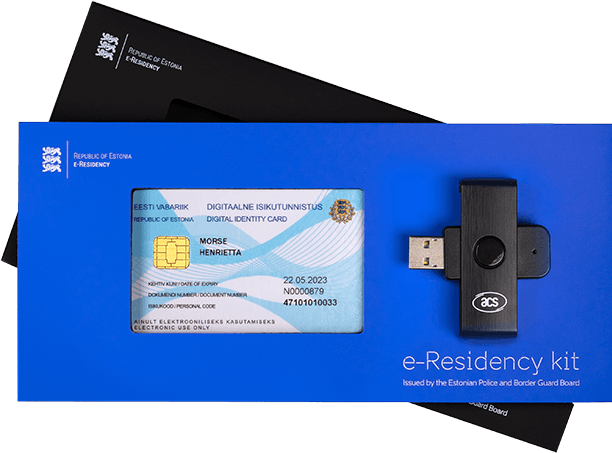 Everything you need to operate online as an e-resident is provided in the e-Residency kit – your digital ID card, PIN codes and a card reader. Confirm your digital ID card is activated. Enter your digital ID card number here to confirm. Note, it may take up to 24 hours to appear in the system. Insert your digital ID card into card reader. You are ready to use your digital ID. Now that you have installed the software and have your card reader working, let’s get started. Keep your PIN codes in a safe place. After losing or blocking the PIN codes, your card will not work. Learn more about the technology.Your digital ID card and services are built on state-of-the-art technological solutions, including 2048-bit public key encryption. 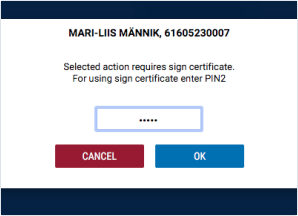 The digital ID card contains a microchip with two security certificates: PIN1 for authentication and PIN2 for digital signatures. Check if your card is inserted into the reader correctly and then try again. It is not possible to authenticate with this card. Let’s test how to log into e-services using your digital ID card. Use your PIN1 to log in. You can log in with ID-card using computer. The solution is not for mobile. You have successfully tested login with your digital ID card. Use DigiDoc4 application and update your digital ID profile. If you lose the PIN codes provided to you, your digital ID will not work. If you prefer, update your PIN codes. 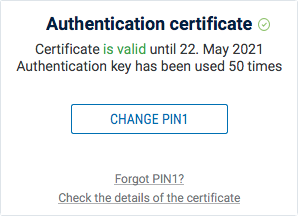 Under “My eID”, you will find the option to modify your PIN1, PIN2 and PUK, and you can see the details of the certificates. Here you can also unlock your blocked PIN codes with the PUK code. 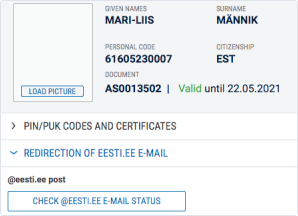 You will be given an @eesti.ee email address where you will receive government emails. 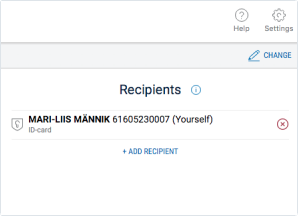 To log in to see these emails, you will go to eesti.ee, or, you can forward those emails to your own email. Enter the email address where you would like government emails to be sent. Let’s try a digital signature. Your digital signature enables you to sign paperless contracts. 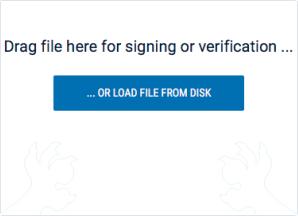 To sign the file, you can drag or select multiple files to upload into the container in the DigiDoc4 application. 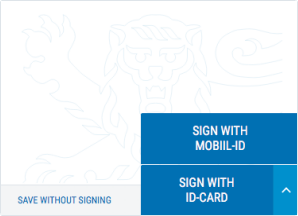 Once the files have been selected, choose “Sign with ID-card.” You can also save the container without signing. By entering the PIN2 code, you will have signed the document with digital signature that by law is equal to the signature signed by hand. You will find the PIN2 code in the envelope that came with your Digital ID card. You can safely manage your important documents and set access permissions for each document. For example, if you and your co-founder are both e-residents, you can safely share confidential documents. 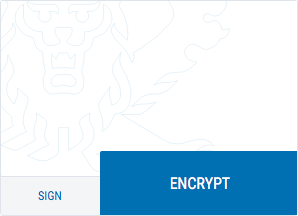 Note: If you encrypt your documents here, within the DigiDoc4 application, your access to those documents will end when your digital ID card is renewed or replaced. Go to the Crypto tab. Drag or select multiple files to upload into the container in the DigiDoc4 application. You have already been added to the address list by default so that you can also open your encrypted container. Click the “Encrypt” button. 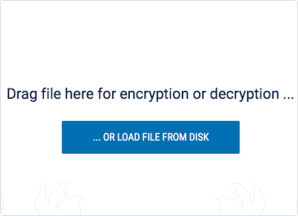 You can now access your encrypted files by clicking the open container location button or send the file by email. Unless your business is physically located in Estonia, you will need to obtain a legal business address and if the management board is outside Estonia, a legal contact person, before you register your company. 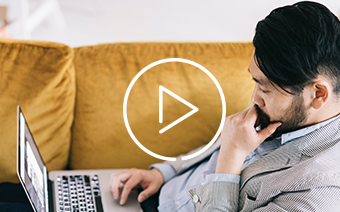 You can learn more about setting up a legal contact person and address here, or, find a service provider in our Marketplace. You will need to digitally sign documents for many services, and several of our service providers even offer login with your digital ID card. Not ready yet? Visit our knowledge base to learn more.